It was a cold and foggy morning here on Monday with the minimum temperature recorded at five degrees Celsius, two notches below the season's average, the weather office said. NEW DELHI: It was a cold and foggy morning here on Monday with the minimum temperature recorded at five degrees Celsius, two notches below the season's average, the weather office said. The Met has predicted a misty day ahead. 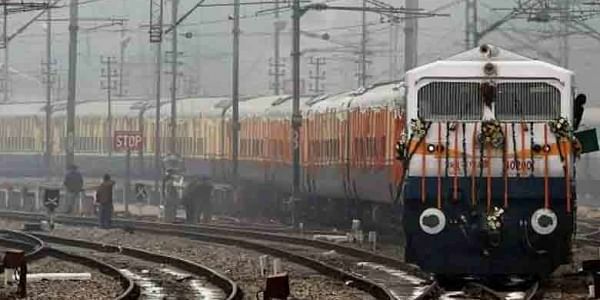 Visibility stood at 800 metres and humidity was recorded at 97 per cent at 8.30 a.m.
At least 18 trains were cancelled, 50 delayed and eight rescheduled due to fog in several parts of northern India. "The sky will remain clear," an India Meteorological Department official said. The maximum temperature was likely to be around 21 degrees Celsius. The maximum temperature on Sunday settled at 20.7 degrees Celsius, one notch above the season's average while the minimum temperature was recorded at 6.4 degrees Celsius, one notch below the season's average.